An important Czech painter and graphic artist whose structures and lines reflect a specific artistic concept of painted space. 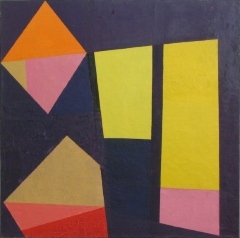 He dealt with the relationship between colour and space in paintings, objects, and specific three-dimensional concepts. Besides abstract works, he also dealt with the theme of landscape which represented a natural inspiration for his creative work. He participated in the activities of an informal surrealist group in Louny, and photographed and experimented with the photocollage technique. He started to paint under the influence of surrealism and cubism in the late 1940's and in the open air (together with Vladislav Mirvald, his friend and former classmate). (paintings reduced in both shape and colour). 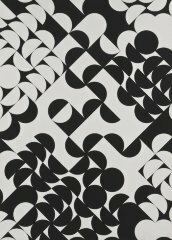 He moved from natural and organic forms to geometric and abstract forms; abstract forms were based on geometrical shapes, which he then organized into a grid. In cooperation with Vladislav Mirvald, he implemented a fire-protection curtain in the Fučík Theatre in Louny (which was lost during the reconstruction of the theatre in 2001). The first of his structure series was created – Grey Structure. He used combinatorial principles to organize the geometric elements in his structures. 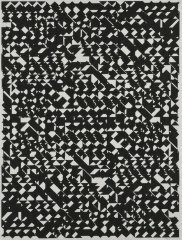 He started to use a computer for the composition arrangements of his paintings in cooperation with mathematician Jaroslav Blažek. Thus, he was among the pioneers of this method. He attended foreign exhibitions, such as Nuove realtá nell'arte de Cecoslovacchia contemporanea, La Carabaga club d'arte, Genoa; Tschechoslovakische Kunst heute, Städtische Kunstgalerie, Bochum a Staatliche Kunsthalle, Baden-Baden; Nova Tendencija 3, Galerija suvremene umjetnosti, Zagreb. He was appointed a senior lecturer at Charles University in Prague. Great architectural implementations in Prague (structures): ceramic wall at the Polish information centre in Jindřišská Street (which is part of a coffee-house today) and glass mosaic of Air vents of the Letná Tunnel by the architect Josef Kales (cultural monument since 2003). He exhibited at the international exhibition of contemporary art Documenta 4, Kassel. He participated in the first biennial of constructive art in Nuremberg – Konstruktive Kunst : Elemente + Prinzipien; attended the opening of the Tendencije 4 – Computers and Visual Research exhibition in Zagreb (with Josef Hlaváček). 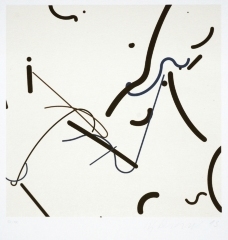 In the late 1960's and early 1970's, his paintings and sculptures (structures) were seen in important European and American galleries, museums, and private collections, for example: McCrory Collection New York, collection of Jan and Meda Mládek Washington, Nationalgalerie Berlin, Städtische Kunstgalerie Bochum, Museum Folkwang Essen, Sammlung Etzold – Städtisches Museum Mönchengladbach, Museo de Arte Moderno Jesús Soto Ciudad Bolívar. The first retrospective exhibition in the Špála Gallery in Prague (he did not exhibit in Czechoslovakia again until 1987). 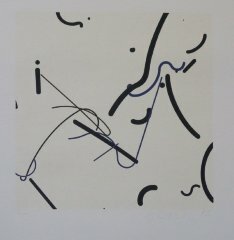 He exhibited at the second biennial of arts in Nuremberg, Was die Schönheit sei, das weiss ich nicht, Künstler-Theorie-Werk. He created the first line painting by magnifying the structural elements. 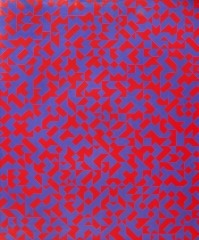 Instead of a strict order, he used the randomness of shape, length, colour, crossing, etc. Within the Gorinchem ´74 symposium in the Netherlands, he made a pavement in the Netherlands (85 m²) which was renewed and moved in 2005. He completed the implementation of structures in architecture – a marble sidewalk and a wall of the shopping centre in Litvínov. 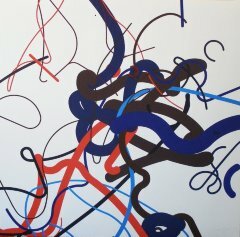 First exhibition of line works – Kunstcentrum Badhuis in Gorinchem, Netherlands. He married his former student Lenka (*16th June 1957 in Plzen) and started to cooperate with her in 1985. He worked on a large painting Line No. 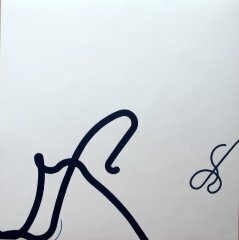 24 (3 x 3 m, 227 lines) which he later called The Last Judgement (property of Centre Pompidou in Paris today). 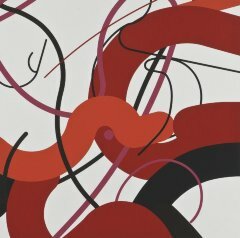 He painted strong colourful lines in his paintings; he created the cycle of abstract paintings Stains which he continued to work on into the 1990's. 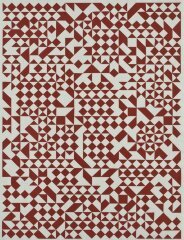 His first foreign retrospective exhibition Quadrat – Moderne Galerie, Josef Albers Museum, Bottrop. A large retrospective exhibition (works from 1947) in the The Brno House of Arts (in cooperation with the theorist Jiří Valoch). 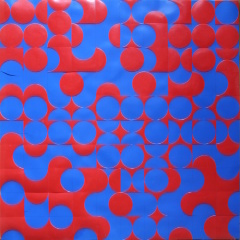 Sýkora started to cooperate with Heinz Teufl which resulted in his solo exhibition in the same year (interrupted in 1968). He created a large painting (3 x 6 m) which was exhibited at the Konkret 9 symposium in Nuremberg. 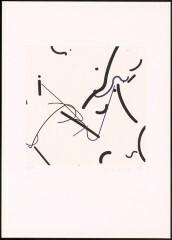 The first painting with lines which only ran from a few points (he continued until 1994). He built a new studio in Louny. 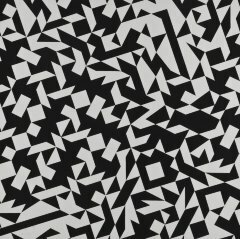 He created paintings with horizontal lines (until 1993), lines running from a single point, angled lines, and lines forming areas (1994). 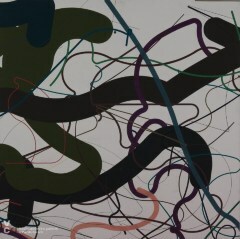 In addition to very complicated lines there were also paintings with only a few lines. Implementation of a twelve metre Sýkoras Wand for Selmoni AG, Basel. 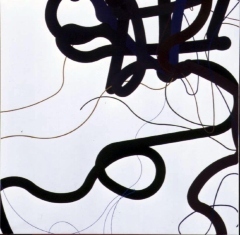 Until 1995, alongside the main activity, he also developed the possibilities of the paintings he had started in the late 1950's – landscapes, the Stains cycle, and he made paintings with lines running from a single dot (until 2004). A retrospective exhibition in GHMP and Wilhelm-Hack-Museum, Ludwigshafen. Illustrations of several books published by Aulos, Prague: Jan Neruda – Cosmic Songs (1999), Stephen Hawking and Roger Penrose – The Nature of Space and Time (2003), William Faulkner – Elly (2005), Karel Hynek Mácha – May (2007), Josef Hiršal and Bohumila Grögerová – Poetry of Structure and Line (2009); cooperation with Zdeněk Ziegler and Zdeněk Křenek – they were awarded the Most Beautiful Book of the Year award in the Bibliophilia category three times. His painting Line No. 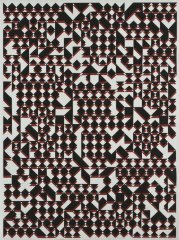 137 of 1997 became the logo of the newly opened Museum of Modern Arts – mumok Stiftung Ludwig, Vienna. 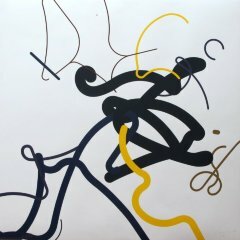 Paintings with lines which only pass through the format and have a better possibility of free movement. Implementation of lines in architecture – entrance hall to the new building of Air Traffic Control of the Czech Republic, Jeneč u Prahy. 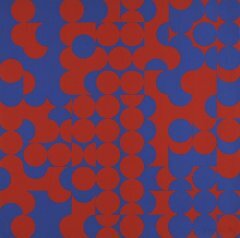 A cycle of exhibitions on the anniversary of his birth – Zdeněk Sýkora 90 in the Gallery of the Capital City of Prague, Colour and Space in the Olomouc Museum of Arts and The Landscape in the Gallery of Arts in Karlovy Vary.